I'm glad to see that someone else has much the same view of Byron and the teeps that I do. I really don't know why Byron thought it would be a good idea to invade everyone's thoughts and then blackmail them. Did he really think that was going to work, or was he just tired of asking nicely and getting nowhere? I always kind of assumed that the telepaths asking for a homeworld of their own wasn't that big a deal, surely there'd be lots of planets they could have ... But Sheridan's reaction in this episode, and the discussion upthread makes me now doubt that. Perhaps there aren't all THAT many planets? It isn't clear to me if this homeworld is supposed to be for HUMAN telepaths or all telepaths. It's possible that that was discussed in some prior episode, but I have forgotten. I agree with Truthseeker above (and with Lyta in this episode). It's the Vorlons who created the telepaths. They're long gone. It's the Earth government that screwed over human telepaths. It would be entirely appropriate to be angry at them. But, the league ambassadors? Yes, all the league worlds benefited from the telepaths' sacrifice during the telepath war, but that doesn't really have anything to do with anything ... It would make more sense if these human telepaths were aligned with telepaths from other worlds, who may have legitimate grievances with their own governments. We don't really know much about non-human telepaths. Minbari telepaths seem to be doing pretty well ... Centauri telepaths probably not so much (I'm thinking of those poor women who accompany the emperor, and are essentially born into service). We don't really know what is going on with any non-human telepaths. To directly answer the question of why I dislike the Byron character (and I've probably said this elsewhere, so apologies for the repetition), it's not that I don't think his cause is just, it's mostly just his "eruditer-than-thou" attitude that really rubs me the wrong way. Also the cult leader stuff skeeves me out. I kind of feel like he did to Lyta what he accuses everyone else of doing to Lyta: He exploited her vulnerability to get with her (that might not be entirely fair to her character, but it still sort of feels that way to me). 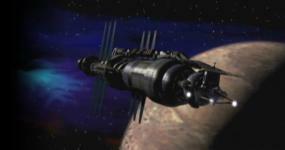 As for the Centauri storyline ... it's pretty tense, but also kind of funny with the G'Kar stuff in there. I agree with Alioth that the scenes with Londo and the regent are quite moving. I really love the Regent Virini character. I used to have that line from him from this very episode as my signature on a bunch of things ... Perhaps I should use it here too. "I think we are well beyond pastels now". That about sums it up, right there. I really like all the Centauri characters in this. They are so ... Centauri. Jano especially seems like he's overacting a bit, but it fits with the Centauri character. I haven't seen this episode in a while, so I may be missing some details, but I think part of the obstacle is the politics that are involved. The telepaths are, according to human law, essentially renegades from Earth. Fellow members of the Alliance can't just ignore that that, not even Sheridan if he wants to work more closely with Earth. I'm sure that it is extremely disappointing to lots of people - not just telepaths - that the happy moment of Earth's crooked government being overthrown didn't also include the dismantling of the Psi Corps. Everyone can clearly see that that situation is problematic, but no one wants to do anything about it .. or perhaps they don't know how. It's interesting how the top people in Psi Corps get to be in power by oppressing the telepaths "below" them right along with the mundanes, so there's all these conflicting interests at play. It's what makes Psi Corps such an interesting fictional organisation. I wonder why? Byron comments in the beginning of this episodes, that he learned "yesterday" from Lyta the origin of teeps. So basically 'day of the dead' would have to happened during the night Byron and Lyta had their lovey-dovey session. Index thread here places Day of the Dead much later. I probably have to read some more discussions to find out why the order of the episodes is not set in stone. I basically agree with most everything Lennier's Tears has commented in this thread. What was the bright idea, Byron? The goal was worthy (your own place, safe haven) but basically all the methods were wrong. Isolating yourselves, cherishing every wrong any teep had ever faced, turning on the few people who had actually done a good thing to you, blackmailing entire governments... you really thought it would work?? Just because you were "in the right"?? You think manipulating everyone (incl. Lyta) suddenly is acceptable because some alien race hundreds of years ago did something wrong? And yes, Byron was speaking for "all teeps" but in reality his gang consisted of humans. I feel that e.g. Minbari teeps were honoured specialists and probably well paid (if the Minbari have such vulgar concepts as salary ). Centauri teeps didn't seem all that empowered but then, we only saw Centauri lady-teeps, and Centauri women didn't look very strong, in a social authority kind of way. We never see Centauri woman ministers, for example. So maybe those teeps weren't an aberration but a relative norm? I must say I didn't feel at all compassionate when some of the teeps got their asses kicked by members of the Alliance (was it the Drazi?). They made their beds, now they lie in it. That said, I kind of feel sorry for Byron. He's either not that bright, or more messed-up by his own experiences that even he knows, to try to make his point in all the wrong ways. But he probably did try his best (his manipulative, complacent, messiah-complexed best) rather genuinely, and yes, I feel bad seeing him cry when part of his flock leaves. Seeing his dream fall apart like that - must be hard. It's funny (and not funny ha-ha as you well understand) that one of the most memorable and poignant lines in this episode is a seemingly vapid "We are well beyond pastels now". Now, THAT'S great writing. Centauri teeps didn't seem all that empowered but then, we only saw Centauri lady-teeps, and Centauri women didn't look very strong, in a social authority kind of way. We never see Centauri woman ministers, for example. So maybe those teeps weren't an aberration but a relative norm?. But your point stands that they don't seem to be that empowered. Anyway, it's been really fun getting all these thread reply emails, I've been enjoying your posts, Talvitar! Welcome back Lennier's Tears. You thought you could escape us, but we're in your email.